Honda Brio price starts at Rs.4.73 lakh (Ex-Showroom, Delhi) and the top end variant Honda Brio VX AT is priced at Rs. 6.82 lakh (Ex-Showroom, Delhi). 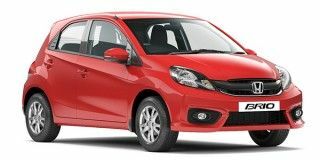 The Honda Brio was powered by a 1.2-litre, 4-cylinder i-VTEC petrol engine which produces 88PS of power and 109Nm of torque. There were two transmission options to choose from - a 5-speed manual or an old-school 5-speed torque converter. If it’s peppy performance you were after, you'd stick to the manual ‘box. Claimed fuel efficiency stood at 16.5kmpl for the auto and 18.5kmpl for the manual. Q. Is Honda wrv a good car?